Tom DeLonge Is Making a Second Show About AliensHe’s really into them! Quiet Place Sequel Reportedly Offers ‘Another Perspective,’ Same Crazy AliensExcited to find out what a different perspective on a planet ravaged by sound-hunting monsters might be! Alien Franchise Teases New Video Game on Social MediaHugging your face with exclusive content! The Star Wars Prequels Should Have Fewer Human-Sized AliensA hot, science-based take. 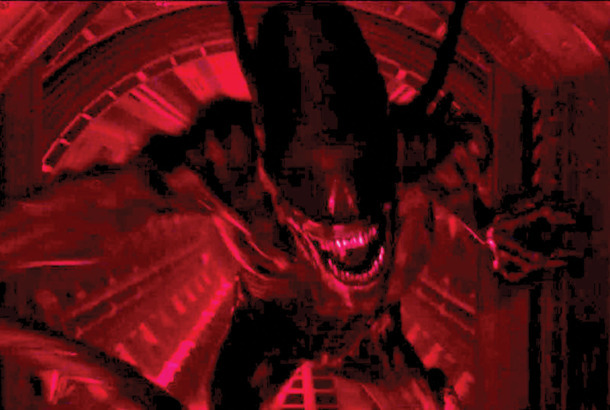 Why the Alien Franchise Has Such a Dramatic Musical PastHas scoring a film series ever been this difficult? Review: Alien: Covenant Is an Origin Story We Might Not Have WantedThe dialogue is often clunky and the plot repetitious. But it’s scary and splatterful, which is all it really needs to be. Ridley Scott Advises You to Run Like Hell When Alien Invaders Inevitably DescendHis vision for first contact does not flatter humankind. The Kinks’ Dave Davies on His Band’s Best Riff and Communicating With AliensThe Kinks guitarist on the likelihood of a reunion and some very cosmic experiences. Blink-182’s Tom DeLonge Receives UFO Researcher of the Year AwardAlien Ant Farm hangs their heads in shame. Stranger Things Adds Paul Reiser and Sean AstinAnd a mysterious new Eleven analogue. The Incredible First Aliens Comic’s Finally BackDark Horse’s serialized Aliens comic launched in 1987 and picked up a few years after the end of the film Aliens. A Brief Overview of Sitcom Aliens and What They Say About the U.S.America loves an alien show, apparently. Watch ‘Aliens: the Musical’Curtains up! 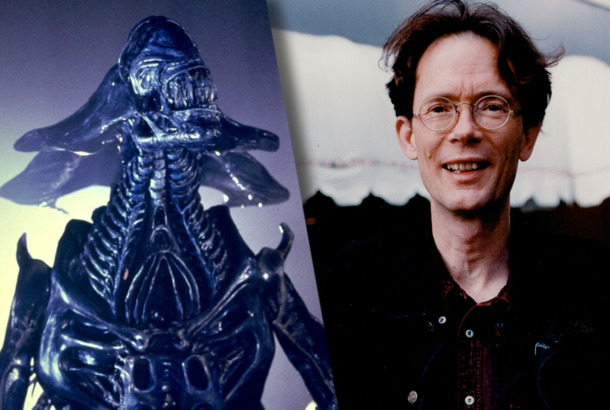 44 Things You Probably Don’t Know About the Alien FilmsTo kick off a new feature called “Vulture Scavenger,” we waded through all four films, their commentary tracks, and the books and articles that have been written about the series. All Four Alien Movie Opening SequencesIt’s a Ridley Scott weekend! 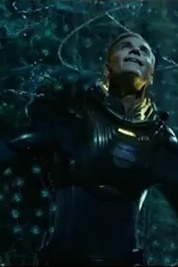 Watch New Prometheus TrailerRidley Scott’s Aliens prequel, starring Dragon Tattoo’s Noomi Rapace. Watch a Super-Cut of Every Line Said by Bill Paxton in AliensA tour de force performance. Learn All About the Battle: Los Angeles AliensBiology! Watch the Gawd Bless America Trailer, Starring the Nation’s Alien BelieversOpen your hearts and believe. Skyline 2 Ready to Go, Unless Skyline FlopsIf the film makes a tenth of what a normal event movie does, it’ll likely see a second part. Why All the Alien Invasion Movies? Pick a Theory!Potential Theory No. 4: Vampire fatigue. Damon Lindelof to Maybe Write an Alien PrequelOr maybe not! Did James Frey Give an Interview As an Alien?Looks like it. Dan Aykroyd Rants About Aliens and UFOs on Larry KingDan! Listen to yourself! James Cameron Convinces NASA to Shoot Footage for HimWell, not exactly for him. Ridley Scott’s Alien Prequel Will Star a WomanThere will be aliens, but they might look different. 10 Movie Planets We’re Glad We Don’t Live OnAnthea! LV-426! Spengo! ABC Tries to Stoke Interest in V With Nine-Minute Preview ClipChristian groups probably won’t be happy to learn that a statue of Jesus gets shattered into a thousand pieces during the show’s first four minutes.